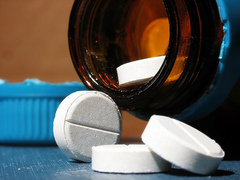 PRX Editors' curated collection about health and healthcare. In this special hour from State of the Re:Union, we take listeners to a place that exists in every American city… but most of us have never seen the inside of it. Back in 2004, SOTRU producer Laura Starecheski visited a state mental hospital in Queens, New York, called Creedmoor. She met an artist there named Issa Ibrahim. He had no perceptible symptoms: he was talented, charismatic, funny, engaging. To be blunt, he just didn’t seem like your typical long-term mental patient. But he’d been at Creedmoor for more than ten years already, with little hope of getting out. Why was Issa still stuck in the hospital? Laura’s quest to uncover Issa’s story took almost a decade. 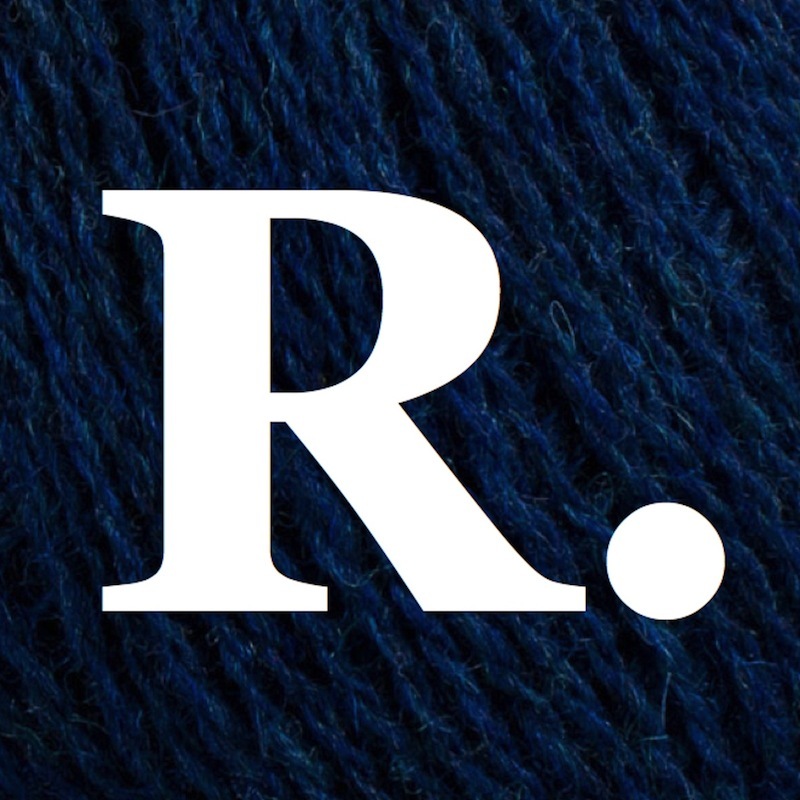 In this special episode, State of the Re:Union takes a close-up look at love, guilt and forgiveness, revealing both the brightest and the darkest parts of human nature. Outcue: on State of the Re:Union. Laura meets Issa Ibrahim in 2004, at a Creedmoor arts program called The Living Museum. Issa won’t tell Laura the reason he was sent to Creedmoor. All she knows is that he has no contact with his family, and he’s been at Creedmoor for over a decade. But then he gives Laura a cd of his songs, recorded in his room on the ward, and the puzzle starts to come together: maybe Issa is at Creedmoor because he is his own worst enemy? Six years after they meet, Issa finally reveals his past to Laura. His story begins at his childhood home in Queens, when he was the child of an artist and a musician. The whole Ibrahim family was banking on Issa’s talent as an artist. But his chaotic but promising childhood turned dark when Issa’s father, a jazz musician, passed away. We hear from Issa’s brother Ishak and sister Karen on his decline into delusion and paranoia. Issa’s story continues with a fateful night in February 1990 when he hears voices for the first time, and what they are telling him leads him to do something unthinkable. In a fit of psychosis, Issa kills his own mother. When Issa ends up in front of a judge in a courtroom, he takes a plea: not guilty by reason of insanity. He eventually ends up at Creedmoor, where he has no sentence and no release date. We hear from several doctors who assessed Issa as his story unfolds. As Issa struggles to learn the rules, he feels the pull of his destiny returning: maybe he can still be a great artist. But making art, much of it provocative, and seeking out romantic relationships… attempting to live a semblance of a normal life inside the hospital… only buries him deeper. And just as Issa begins to forgive himself for his crime, his case at the hospital has ground to a halt. He has little hope of release. By 2002, Issa had been locked away for over ten years. When a new forensic director started working at Creedmoor, and was asked to do a brand-new assessment of him, he saw a potential turn-around in his case. But the assessment labeled him ‘dangerous’, and despite years of good behavior, Issa’s future seems as hopeless as ever. Left with no other options, Issa uses the money he’s saved from selling his paintings from inside the hospital to hire his own doctor, and after years of pushing, he finally gets his day in court. We hear from several doctors and the presiding judge about the court hearings where Issa petitions for his freedom. In 2009, the judge grants Issa a conditional release from Creedmoor, and he lives at a halfway house on the hospital grounds for four years before winning permission to move into his own apartment for the first time in his adult life. Then, Issa must contend with life in the outside world. Will his family ever forgive him? Can Issa ever really forgive himself? The Hospital Always Wins is available on PRX without charge to all public radio stations, and may be aired an unlimited number of times prior to January 31, 2017. The program may be streamed live on station websites but not archived. Excerpting is permitted for promotional purposes only. State of the Re:Union is presented by WJCT and distributed by PRX. Major funding for the State of the Re:Union comes from CPB, the Corporation for Public Broadcasting and the Delores Barr Weaver Fund at The Community Foundation for Northeast Florida. Thanks for your consideration of State of the Re:Union with Al Letson. Investigative reporter Mark Dowie, host of Talking Point Radio probes the challenging moral controversy surrounding assisted death in this hour-long radio documentary produced and directed by Gregg McVicar. Because laws of most states make it risky, even criminal in some, for doctors to hasten a terminal patient’s death, more and more people facing painful endgames are asking friends and family to help them take matters into their own hands and end their lives. Supporters of physician assisted death call these unfortunate choices “back alley suicides” and hope that other states follow the example set by Oregon, Washington and Montana which allow physicians to provide aid in dying to terminally ill patients. Opponents of assisted death say “not so fast” and warn of a “slippery slope” that will lead to the legalized murder of elderly and disabled people. Dowie visits the widow of a man whose family helped him die, meets with activists and lawyers leading the fight against “assisted suicide” and members of the support groups they call “vigilante cults” who help people unable to find physician assistance end lives of intractable pain and suffering. And he closes the hour conversing with a doctor who spends most of his practice next to the bedside of dying patients. Prime Time Radio presents this special to clear up some of the confusion, misinformation and disinformation surrounding the bill. First, a special documentary that will clear up some of the confusion, misinformation and disinformation about the Affordable Care Act, signed in to law last year...Prime Time Radio takes a comprehensive look at the issues of the Patient Protection and Affordable Care Act from the policy makers to regular individuals already being impacted by the Act. Then, Dr. John Coster, Senior Vice President of Government Affairs at the National Community Pharmacists Association discusses how the Patient Protection and Affordable Care Act will affect prescription drug costs for patients and what it might mean for pharmaceutical companies. The Affordable Care Act Special and Dr. John Coster, this week on Prime Time Radio. Wendell Potter and Susan Garland, this week on Prime Time Radio. In "Deadly Spin", author and insurance company insider, Wendell Potter, speaks out on how corporate PR is killing health care and deceiving Americans. Then, Susan Garland, executive editor of the Kiplinger Retirement Report, says a decline in the ability to handle finances well could be an early sign of Alzheimer's disease making older Americans more vulnerable to money scams. First, in "Deadly Spin", author and insurance company insider, Wendell Potter, speaks out on how corporate PR is killing health care and deceiving Americans. Since Wendell Potter walked away from his executive position at a top health insurance company in May of 2008, he has worked tirelessly as an outspoken critic of corporate PR and the distortion and fear manufactured by America's health insurance industry. A PR juggernaut funded by millions of dollars, the health insurance industry bankroll rivals lobbying budgets and underwriting many "non-partisan" grassroots organizations. Then, Susan Garland, executive editor of the Kiplinger Retirement Report, says a decline in the ability to handle finances well could be an early sign of Alzheimer's disease making older Americans more vulnerable to money scams. The health care costs of retirement for a 65-year-old living until 92 will likely pay $400,000 in out-of-pocket medical costs. Tips on how to prepare to pay the tab, from buying special types of annuities to using reverse mortgages. Wendell Potter and Susan Garland, this week on Prime Time Radio. President Obama addresses health insurance reform and racial profiling. in a press conference on July 22 2009. A Cambridge couple, both MDs and Harvard Medical faculty, have devoted their lives to researching and advocating universal health care. Provocative. A human profile and an important perspective on the ongoing debate over health care reform. Dr. Steffi Woolhandler and Dr. David Himmelstein lead a campaign by doctors to reform health care which they see as needlessly expensive and corrupt. Together they founded Physicians for a National Health Program in 1987 which aims for a system where everyone is covered. They decry the soaring costs of health care – and how that hurts poor people who are uninsured -- and many in the middle class who are under-insured. The doctors pull no punches in describing what they see as enormous waste and unconscionable greed in health care expenditures. The second segment features American doctors who have visited other nations to learn of workable alternative systems. Abbie Waters was just nine years and two days old when she left this world. A thoughtful remembrance, this piece is the personal journey of her family during her cancer treatment. From the Grain of Sand series, featuring real stories that illuminate shared human experience. Paul Starr: Will the Healthcare War Ever End? Princeton sociologist Paul Starr discusses the history of the American fight over healthcare reform and the prospects of ever bringing it to an end. The passage of the Patient Protection and Affordable Care Act in 2010 was supposed to solve our biggest healthcare problems and cement the reputation of Barack Obama as a great reformer. Instead, the fighting has continued and even, possibly, intensified. Many Republicans have been calling for outright repeal, and even many of the bill’s supporters now have doubts about it. No other nation has experienced a healthcare debate quite so embittered and polarized. How did an almost universally acknowledged good like healthcare become a source of such titanic strife? And when, if ever, does it end? Princeton sociologist Paul Starr, author of Remedy and Reaction: The Peculiar American Struggle over Health Care Reform, visits Zócalo to discuss the history of a uniquely American fight and the prospects of ever bringing it to an end. Chris Ladd was raised as a fundamentalist Christian in East Texas, believing he possessed the secret to how everything in the universe worked. A brush with abortion cracked that belief, transforming his views on abortion, homosexuality, and all else in the delicate mobile we call a “worldview.” The cost of Chris’s worldview transformation has been high, but he says it's been well worth it. 'I don't know if I can convey how comforting it is to believe that you possess the secret to how everything in the universe works. And as a consequence, we had this amazing bonus: we were going to heaven and everyone else was going to hell.' That's how Chris Ladd describes his upbringing as a fundamentalist Christian in East Texas. But that sense that he possessed the secret to how everything in the universe worked? Well, it eventually cracked. The last straw was a brush with abortion: Chris's wife was pregnant, and it turned out that the fetus had died, but she was painfully unable to miscarry, and the hospital refused to do a procedure that might be construed as an abortion. That experience moved him to question long-held and largely unexamined views on women's reproductive rights, homosexuality, race, and all else in the delicate mobile we call a "worldview." As a result of his worldview transformation, Chris ended up breaking ties with his community, leaving Texas, and moving his family to Chicago. The cost of worldview transformation has been high, but he says it's been well worth it. This is a hopeful story about the possibility of changing our beliefs on deep-seated social issues, and an intimate look at what drives our beliefs on one of the most divisive issues in our country today. Obamacare: What does it mean for women? Series host Martha Burk interviews Karen Davenport, Director of Health Policy at the National Women's Law Center in Washington DC, on the impact of the Supreme Court decision upholding Obamacare on women. Series host Martha Burk interviews Karen Davenport, Director of Health Policy at the National Women's Law Center in Washington DC, on the impact of the Supreme Court decision upholding Obamacare on women. Davenport explores reproductive rights, pre-existing condition coverage, insurance abuses that will be curbed, and more. One 2x30 sec. break midway. See timing and cues. This is segment 2 of a one hour Equal Time With Martha Burk, originally broadcast July 14, 2012. Segment 1 is Katrina vanden Huevel, Editor of The Nation, talking about the Citizens United Supreme Court decision and how it is poisoning politics, posted separately on PRX. Segments can be combined for a one hour program. Young doctors face challenges, provide total care, and live unconventional lives in rural Nebraska. In 1998 Dr. Gary Kaplan, the CEO of Virginia Mason Medical Center in Seattle received some bad news about his hospital. It was losing money. So Dr. Kaplan started studying how other hospitals were being run to see if there was a better way to manage his hospital. He scoured the country, looking for a hospital with a management system worth adopting, but he never found one. Instead he ended up in Japan. At a Toyota factory. When Dr. Kaplan told his staff they would be changing everything about the way they operate and the changes were based on a car company and that doctors and nurses should refer to their new teachers as “sensei,” the response was less than ideal. 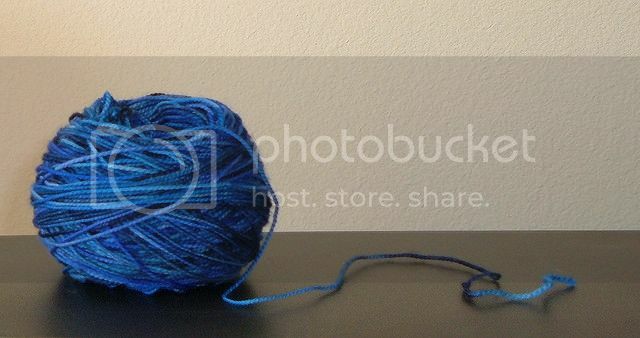 This entire, multiyear overhaul started with a ball of blue yarn. The staff met with a Toyota Production System sensei and he took out the ball of blue yarn and a map of the hospital and told the staff to trace the path a cancer patient would take on a typical visit for chemotherapy treatment. When they were finished, it was an immensely powerful visual experience for everyone in the room. They all stared at this map with blue yarn snaking all over the place, doubling back on itself and making complicated twists and turns from one end of the building to the other. They understood for the first time that they were taking their sickest patients, for whom time was their most precious resource, and they were wasting huge amounts of it. This story was produced by David Weinberg- who also wrote an article about Virginia Mason adapting the TPS to health care and did a piece for Marketplace about its adoption at Barnes Jewish Hospital in St. Louis. David spoke with Charles Kenney, author of Transforming Healthcare and Dr. Henry Otero and Nurse Michele Wettland from Virginia Mason. Among all the reporting from experts in the field of healthcare, insurance and healthcare reform, one voice is missing: that of the uninsured - those who live and die within this present system. The following piece tells the story David and his death. David's story goes to the heart of the problem: living without healthcare creates an underclass who inherently believe they do not deserve to be healed. For the past twenty years, Shepherd's Clinic in Baltimore has provided comprehensive health care to the uninsured -- without any government funding. Since the recession began in 2008, more and more people are finding themselves walking through the clinic's doors for the first time. Jack VandenHengel, Shepherd's co-founder and executive director, likes to say that his clinic is unique nationwide. For a voluntary donation of an hour's wage, the uninsured can receive high-quality primary and specialty care, behavioral and wellness services. The clinic takes no government money and relies on over 350 volunteer health care professionals. I visited the clinic to see how it has survived over the years and how it will be affected by the new health care law. The health-care debate is focused on quantity: how many people – and how much care they will get. But perhaps quality, rather than quantity of care, is more important. In this country we tend to think more is better. More processing power, more fries, and certainly more health care. But there's strong evidence that too much care is hurting people in America. This piece uses the interaction of a prostate-cancer surgeon and patient to tell the story of overtreatment in America. It could be cut down so that it just focuses on prostate cancer and the controversy over the prostate specific antigen test. Technology has done great things for medicine: Machines can help keep hearts beating and lungs breathing. Electronic medical records help doctors keep track of their patients’ treatment and prevent mistakes. But all that technology needs a lot of monitoring – and that can be frustrating for nurses who want to be tending people, not machines. To combat this problem, healthcare provider Kaiser Permanente is implementing a new program to help nurses relax a bit, and shift their focus back to what’s really important. Technology has done great things for medicine: Machines can help keep hearts beating and lungs breathing. Electronic medical records help doctors keep track of their patients’ treatment and prevent mistakes. But all that technology needs a lot of monitoring – and that can be frustrating for nurses who want to be tending people, not machines. To combat this problem, healthcare provider Kaiser Permanente is implementing a new program to help nurses relax a bit, and shift their focus back to what’s really important. KALW’S Christopher Connelly has more on what they’re doing. Just hours after the Supreme Court upheld Obamacare, supporters got together in downtown Chicago to celebrate the historic decision. Listen to a few people talk about the moment they heard the news, and what it means to them. In 2009 and 2010, David was a community organizer working for health care reform. Listen to David tell his story about what it was like to be on the front lines of reform, how Obamacare is helping his family, and what it means to him that President Obama refused to give up on progress. The company asked me to sign a release so they could bill my insurance company $220 for something one can buy on line for $19.95. Why didn't the banks get their bailout money from the companies that provide us with "health care'?